A shifter without a mate is a shifter without a mind. It’s been five years since Shilo’s mate walked out on her and she’s been just a little, tiny bit unstable, a feeling that isn’t helped by the impending fight with a neighboring colony. She might not be all there, but even a crazed shifter knows waking up in a stranger’s bed hours from home to find the contacts from her pack murdered means she’s in trouble. Aimless and restless and unconcerned with anything beyond his next one-night stand, Waylon agrees to act as bodyguard for some shifter pack liaison embroiled in a power struggle. What could it hurt? He’s been aching for five years, and maybe this assignment will take his mind off all he’s lost. But when he meets his client, his world stops. It’s her. His mate. The one he left. Thanks to their history, he can’t just walk away and leave her as a target. Thanks to her instability, she can’t go home without backup. If either wants to survive the bloody present, both will have to set aside their heartbreaking past and fight for their uncertain future. 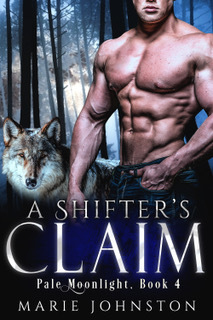 A Shifter’s Claim is the first book I’ve read from Marie Johnston, and I thoroughly enjoyed it. This novel is a couple of book in on an ongoing series, but I was able to read it as a standalone. If you don’t like the hero and heroine with other people while they’re together but not together then this will bother you. Both main characters are with other people while broken up/separated. It’s explained in a way that makes you feel better about it, but you will get frustrated with both of them. There’s a mystery and some angst which I loved. I read it in one day because I couldn’t put it down. I had to know what happened next. 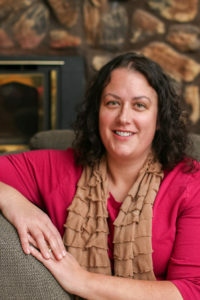 Marie Johnston created some realistic characters in a paranormal universe in which people shift to wolves. One of my favorite parts of this shifter world was that they developed extra skills or powers. I thought that was interesting since it’s something I have only read in vampire novels. I also thought it was beautiful how the heroine’s gift was crafting and she used it to keep the culture of her people alive. That got me a little teary, and you’ll see what I mean at the end. Overall, this is a book I would recommend to fellow PNR lovers.